In an empty room, a mannequin and a vibrantly colored, synthetic fur garment lay on the floor. 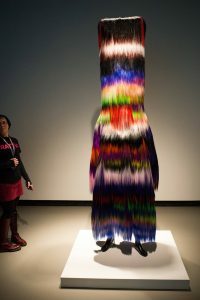 This garment, called a “Soundsuit,” is a wearable sculpture created by Nick Cave, the Christian A. Johnson Visiting Artist in Residence last fall. It’s mid-October and Cave is working speedily with art and art history professor Lynn Schwarzer to set up his exhibition in Clifford Gallery. Soon, the Soundsuit adorns the mannequin. As the first thing gallery visitors see, the suit is striking. Cave’s fall exhibition was called Rattle, and the art was as noisy as the name. Cave is a multimedia artist whose work encompasses sculpture, performance, fashion, installation, and more. He’s also a professor in the fashion design department at the School of the Art Institute of Chicago. Outside of the chapel, students, faculty, and staff musicians provided the beats to start the performance with clanging percussion instruments. Students in street clothes kept it moving with funky tunes blasting from tiny radios. Some of the suits made soft, swishing sounds, like a cheerleader’s pom-pom. They swayed easily as students marched forward and danced in circles. Other suits were 8- to 9-feet tall and had a stiffness supported by metal framework; they had the effect of long animal fur moving subtly. Depending on which Soundsuit students wore, they had varying experiences. 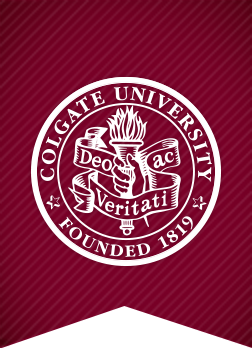 One of the reasons Cave came to Colgate was because he wanted to help students express themselves. So, in addition to the Rattle procession, students had another way to get involved during Cave’s time at Colgate: workshops. “The workshops and residency are about bringing together a group of students who perhaps never even met each other and to think about a narrative or a point of view that they feel is necessary to express,” Cave said. Tasked with creating a performance around an object provided by Cave, students spanning class years and majors banded together in the name of art. 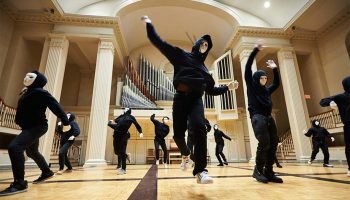 In each of the three workshops — with the titles Glitch, Hailer, and Lineage — the students had one prop to work with: alphabetical letters crafted by the students, old-fashioned cheerleader megaphones, and a stretchy article of clothing, respectively. Cave checked in with students to give them advice, but armed with a prompt and their objects, they were largely on their own. “It’s all just about ideas,” Cave said. 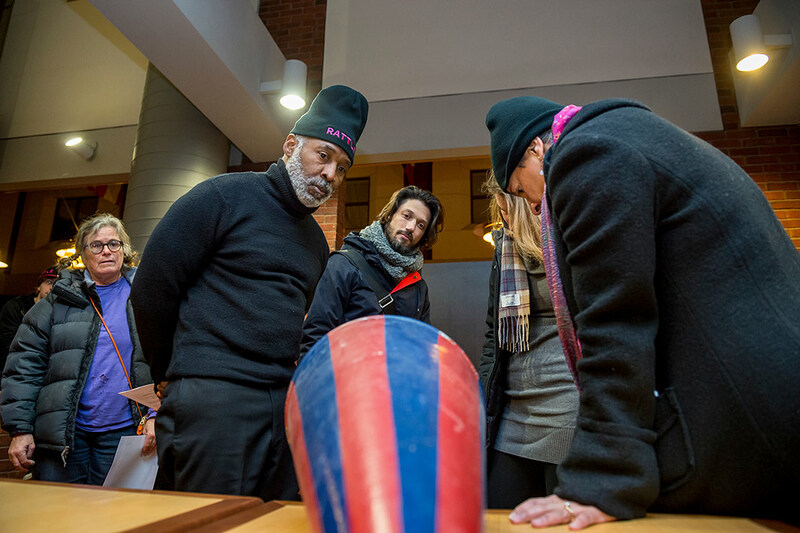 Mykel Macedon ’19, a political science major, became interested in participating in Cave’s workshops when he saw Cave’s art for the first time. (The Soundsuits, in particular, piqued his curiosity.) Once Macedon learned more about the workshops, he decided to join Glitch — a word-association exercise — and Lineage, which was more of a physical performance. As an avid dancer, Macedon hoped to bring that form of art to Cave’s workshops. In Lineage, students centered their performance around a swath of reversible black and orange cloth. 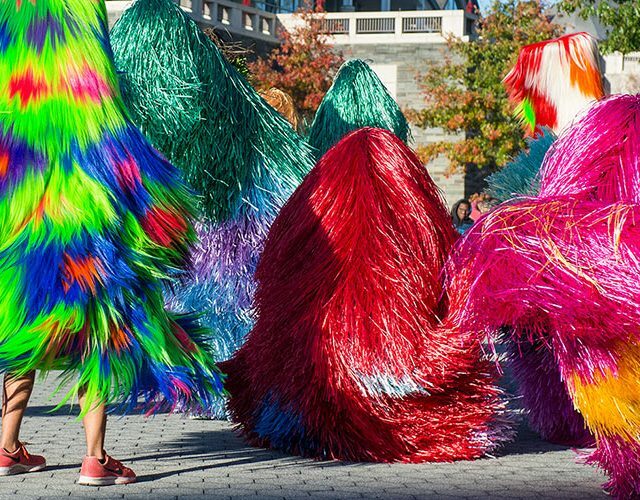 The garment, complete with enough holes to fit the limbs of numerous people, required students to be in close proximity but it also stretched, allowing performers to enclose themselves as a group or open up to reveal individual movements. To figure out how they wanted to perform, the group tried a series of exercises with the cloth. They thought about it symbolically and stretched it into different shapes. They unraveled it and raveled it again. 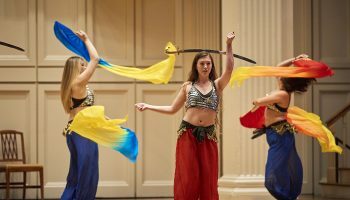 For their performance, the four Lineage group members weaved their limbs through the cloth and, as a student improvised violin music on a bench nearby, they ebbed and flowed. The stretch of the cloth allowed them to move separately, but it only extended a few yards, so they were still bound together — even when one student climbed upon a large rock, the others had to follow. Finally, they circled portions of the audience and moved them as a group. “So, by the end, all who came to watch became part of the performance themselves,” Schwarzer explained. Cave is no longer on campus, but his work has left a lasting impression. 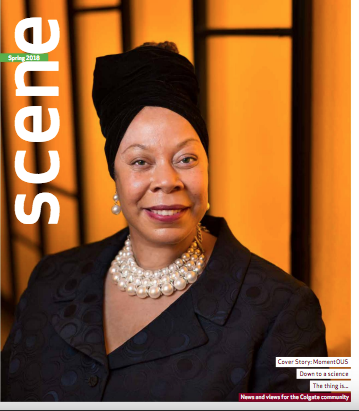 “Since the performance, every time I reflect on it, I gain a knew depth to my understanding of Lineage.” Macedon said. In addition, the athletics department will show video of Glitch at halftime at events, and students hope to continue working on the poetry-focused workshop Hailer. 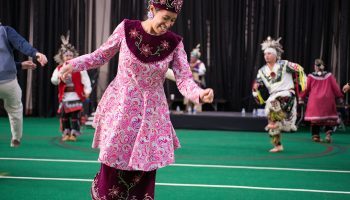 There’s no masking the talent at this fall’s Dancefest. Here, Wolfpack takes the stage.